These two devices, the Samsung Galaxy Win and Samsung Galaxy Trend Duos II (wow what a long name) were just revealed by the Korean manufacturer a few days ago. They are not available for sale or anything, yer Samsung wants developers to get going with their work, so it provided the Kernel sources for both devices. The kernel source isn’t of much use to regular users, but for developers is they to making Custom Roms and mods. You can download the kernel sources for Galaxy Win from here. This is a 4.7 inch phone with a 199 ppi display, running on 1.2 GHz of speed from a quad-core Cortex A5 CPU. 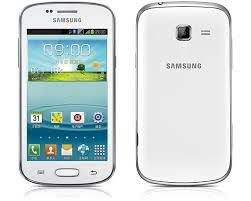 The kernel source for Galaxy Trend Duos II is available here. This one has a smaller scree, at 4 inches, but with a higher ppi (233). Both devices are entry-level, mid class. Nothing fancy, rather suitable for the market in China where they were launched. Samsung is known for its sales strategy of releasing lots of devices that are suitable for each market demand.